Nothing is more personal or directly reflects our individual tastes than home. Start with the best in basics to build upon. Our newly upgraded apartments boast quartz countertops, espresso cabinets, stainless-steel appliances and vinyl wood floors. Our standard apartments showcase oak cabinetry and sleek black appliances. This not so blank canvas will blend effortlessly with every unique touch you bring to the table. Whatever you’re looking for you’ll find it here. Modern comforts, both upscale and modest alike. Amalfi is a lavishly landscaped apartment home community surrounded by a peaceful wooded setting. Each of our one and two-bedroom floorplans include washer and dryer, open concept kitchens with breakfast bar and an enclosed patio or balcony with spare storage. 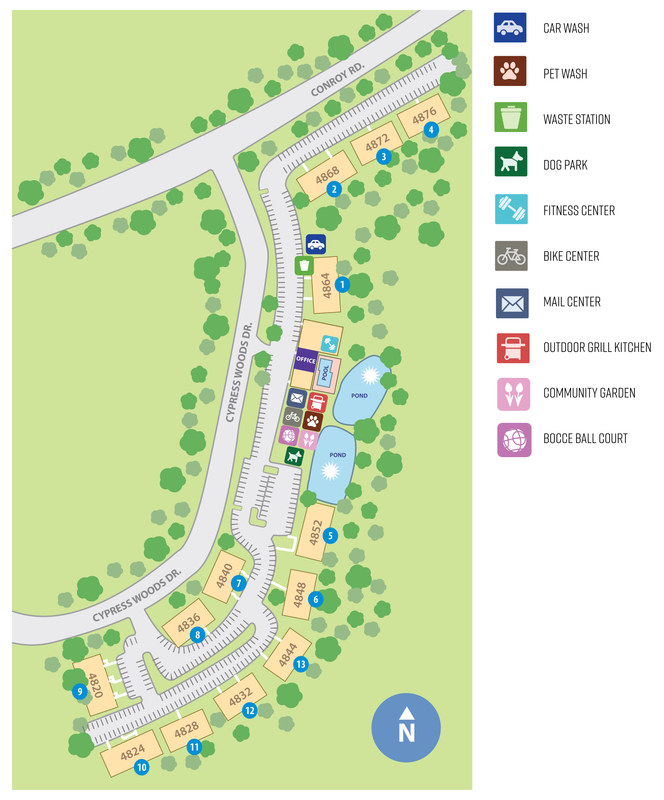 Our pet friendly community features a pet grooming station, dog park, community garden, bocce ball court, 24-hour fitness center, swimming pool with outdoor grill kitchen pavilion and so much more. Located near many of Orlando's major attractions, we are minutes away from International Drive, Mall of Millenia, Valencia Community College and much more. I-4 is located 3 minutes away which will connect you to all other popular destinations in Orlando. Downtown Orlando, the Universal Technical Institute (Orlando) and so much more are conveniently less than a 30-minute drive.